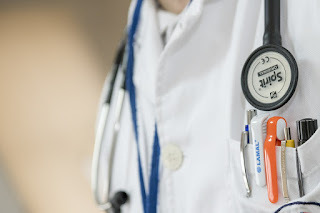 While a large number of Canadians will oftentimes avoid going to their physician and instead opt to be seen only when absolutely necessary, having regular checkups with your physician is vital in ensuring optimal overall health. Despite the common phrase “An apple a day keeps the doctor away,” it is important to go for annual examinations as a part of your general health maintenance and to identify any illnesses or diseases before they become serious and/or life-threatening. Checkups can include assessment of a patient’s blood pressure and weight, along with discussion on diet, alcohol, tobacco and drug use. For more in-depth information on those topics, visit http://alighahary.wordpress.com and http://alighahary.weebly.com. Dr. Ali Ghahary, a Vancouver MD who practices at Brentwood Medical Clinic, will also ensure that a patient’s immunizations are up to date and send them for routine blood work. This allows for the physician to discover common diseases that aren’t necessarily seen by the naked eye – these include hypo or hyperthyroidism, iron deficiency and kidney function – and are often easily treated with medication. Doing a CBC (Complete Blood Count) also helps to determine the amount of red or white cells in the system, and can even determine certain cancers such as leukemia and lymphoma. Screenings such as those for colorectal cancer or breast cancer are usually dependent on the age of the patient. In Canada, all provinces offer free breast cancer screening. The Canadian Cancer Society recommends women between the ages of 40 and 49 discuss the risks of breast cancer with their doctor, and it is suggested that women between the ages of 50 and 69 have a mammogram every 2 years. If breast cancer is detected early, you have a better quality of life and may require less treatment, which also means a shorter recovery period. For men, while the majority of prostate cancers are found in those over the age of 50, screening can begin as early as age 40. To check for prostate cancer, two tests are typically done: One known as a Digital Rectal Exam (DRE), as well as a Prostate Specific Antibody (PSA) blood test. Children should also have regular checkups with a physician to ensure that their development is at the appropriate stage for their age, that they have good nutrition and hygiene, and that they are also up-to-date on their immunizations. Recommended vaccines include those against chickenpox, influenza, HPV and hepatitis viruses. For an in-depth list of vaccinations available for children, visit KidsHealth.org. 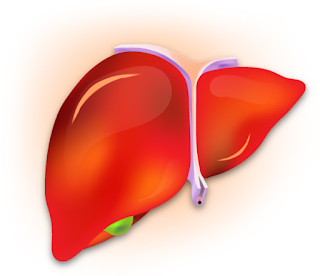 Similar to Hepatitis B and C, Hepatitis A also affects the liver, causing inflammation. However, unlike Hepatitis B and C, Hepatitis A does not become chronic and is instead an acute infection – meaning its onset is abrupt and typically requires short-term care. Hepatitis A is contracted through feces, and is commonly found in regions such as The Caribbean and South America. While outbreaks of Hepatitis A are uncommon in Canada, they can still occur. These outbreaks are often the result of having sexual contact with someone who is already infected with the Hepatitis A virus, or by eating contaminated food that has been prepared by someone with Hepatitis A who has not washed their hands prior. Eating raw or undercooked seafood that has been in sewage-polluted water can also result in the contraction of Hepatitis A. While most individuals with Hepatitis A will develop symptoms, not everyone does. Symptoms can occur as little as one-week from the initial contact with the virus, or as long as 50 days later. Symptoms of Hepatitis A include: Abdominal pain, fatigue, nausea, vomiting, low-grade fever, loss of appetite, dark urine and jaundice. Typically, children who have been infected with Hepatitis A will experience milder symptoms. However, the older you are, the more severe your symptoms may be. Symptoms can last as little as 1 to 2 weeks or for several months. If you have pre-existing conditions such as chronic liver disease, Hepatitis B or Hepatitis C, you are at a higher risk of developing complications from Hepatitis A. The best way to avoid contracting Hepatitis A is to get vaccinated. The vaccine is usually given in 2 doses 6 months apart, and it will protect you from the virus for up to 20 years. Alternatively, a combined Hepatitis A and Hepatitis B vaccine is also available and is something that Vancouver physicians like Dr. Ali Ghahary recommend, especially for individuals who have not yet been vaccinated. Parkinson’s Disease, famously named after James Parker who published an essay on the neurodegenerative disease in 1918, is a condition that affects the body’s ability to move. 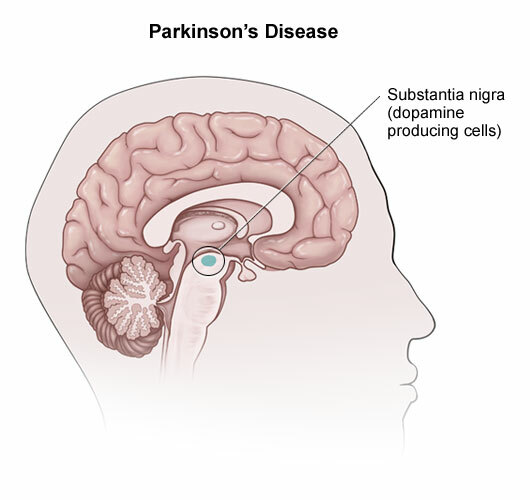 Parkinson’s Disease occurs when cells that produce a chemical known as dopamine die, resulting in symptoms such as body tremors, stiffness, slowness and muscle rigidity. Parkinson’s Disease currently affects over 100,000 Canadians, with approximately 6,000 new cases of the disease being diagnosed in Canada every year. Most diagnoses of Parkinson’s Disease are in individuals over the age of 60. However, although rare, individuals under the age of 50 (sometimes as young as 40) can also develop the disease. This is known as young-onset Parkinson’s. While there are no known causes of Parkinson’s Disease, genetics and exposure to certain toxins have been thought to play a part, in addition to viral infections. Individuals who have a parent or sibling with Parkinson’s Disease are also twice as likely to develop it themselves in the future. Parkinson’s Disease is separated by two stages. Early stage, where symptoms appear and affect one’s everyday routines such as dressing themselves, hygiene, and even walking; and Advanced stage, when motor complications begin to occur. Symptoms of Parkinson’s Disease usually only affect one side of the body. The most common symptom of Parkinson’s Disease is tremors – uncontrollable shaking that usually starts with the hands. Muscles can also become stiff or tense, causing pain, and you may also notice loss or slowness of movement, which is scientifically known as Brandykinesia. In advanced stages of Parkinson’s, patients may also experience lack of coordination and balance, which can lead to falling. Tiredness, sleep problems, cognitive impairment, depression, and difficulty eating or swallowing are all also symptoms of the disease. Given that there is no known cause of Parkinson’s or tests that can help diagnose the disease, treatment is based solely on the symptoms presented by the patient. Dr. Ali Ghahary, a Vancouver physician, will not only pay attention to the manifestations of Parkinson’s, but will also usually go over a patient’s complete medical history to help determine appropriate treatment. One of the most commonly prescribed and effective medications used to help treat Parkinson’s Disease is a medication called Carbidopa-Levodopa, which releases a natural chemical into the brain that converts to dopamine. MAO-B Inhibitors may also be used to help prevent dopamine from breaking down, as well as Anticholinergics to control tremors associated with Parkinson’s. Side-effects to these medications can include light-headedness, nausea, insomnia, constipation, dry mouth, confusion and hallucinations, so it is important to discuss the risks and benefits of these medications with your physician. In addition to receiving continued care from Vancouver physicians like Dr. Ghahary, there are also various support groups in Canada for individuals living with Parkinson’s Disease. Parkinson’s Canada, the national voice for Canadians living with Parkinson’s, has been operating since 1965 and provides a broad range of resources for people and families of those living with Parkinson’s Disease, as well as have educational workshops, seminars and other support services. Similarly, the Parkinson’s Society of British Columbia, which is located in Vancouver, also helps to support individuals with Parkinson’s in addition to working on research in effort to find a cure. For more information on Parkinson’s Disease, you can call Parkinson’s Canada at 1-800-565-3000.